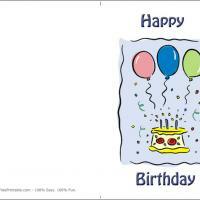 Grab one of these free printable cards for your mother on her birthday. These printable birthday cards are custom made for your favorite woman, though you might want to ensure that the mouse isn't the only one giving the flowers! Print this half page birthday card that features a mouse carrying a bouquet of flowers with a message of 'Happy Birthday Mum'. Include your own message inside then fold it half. 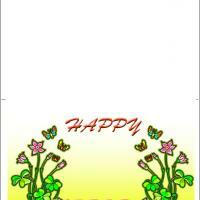 This is a great card for kids to give to their mother as it doesn't cost any money and it's easy to add to. 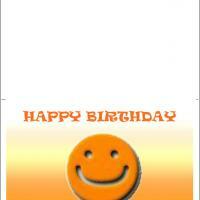 Wish her well on her special day with this great card! Pink flowers are sent to someone we appreciate and admire. There are few people we admire more than our mothers. 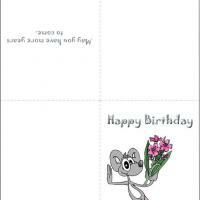 Mouse With Flowers for Birthday Mum is a free printable birthday with pink flowers being presented by a funny little mouse. It is a great card for a young man to give his mother to let her know how much she is appreciated. Inside is a sincere wish for many more birthdays to come. And, if you want more our free printables can be set up easily to include an image chosen from our large selection and you may add your own personal words too. Our mothers are the most appreciated people in our lives. It is obviously fitting to want to send her a birthday card with flowers and a heartfelt wish to be able to celebrate many more birthdays with her. 0ur handsome little mouse on Mouse With Flowers For Birthday Mum is just the card you need. The pink flowers are a beautiful symbol of admiration. Some young man will love to send this one to his sweet mother. 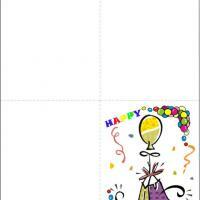 And, with just a click or two custom text or select clip art can easily be added before printing these cards at home.